This requires reconsidering existing mobility systems in order to meet the needs of older people and help to combat social exclusion and support independent living especially for those with reduced mobility. Developing new mobility solutions or improving existing ones will also provide new opportunities for innovative small companies, transport operators, social economy start-ups and NGOs at local, regional or national level. 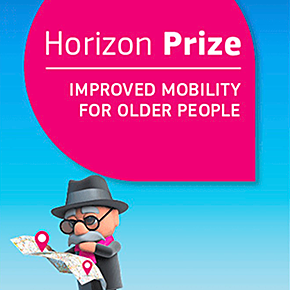 The purpose of the contest is to develop innovative and sustainable mobility solutions for older people (65+). The prizes will be awarded, after closure of the contest, to the applicants who in the opinion of the jury demonstrate a solution that best addresses the award criteria. The solutions submitted, likely to combine technological, social and behavioral features, must be implemented for several months during the contest period. The jury will assess the work and progress made by the applicants during an implementation period of at least 5 months between the opening of the prize and the submission of the applications, based on measurable evidence that they will have to provide. Applicants will also have to demonstrate that their solution can be scaled-up and replicated in different contexts.